Expand Your Brand. Reach More Customers. Zappalog is the premiere digital platform for publishing catalogs and lookbooks. Creating visual content that inspires and entices your customer has never been easier. Now you can showcase your visually inspiring product content in an elegant presentation on your site without programming. From mailbox to online, your customer will benefit from a seamless brand experience between channels. brand experience between channels. Expand your reach without increasing your print, paper and postage costs.without increasing your print, paper and postage costs. Your content is the hero. There are no unsightly tags, buttons, sounds or backgrounds to distract from your brand and product presentations. Create feature focused visual content for all of your product categories to present an inspirational site. Built in analytics allow you to monitor your customer’s interaction with specific products. Zappalog is loaded with features to create inspired visual product presentations. Focus on Your Brand Our uncluttered and intuitive viewer presents your brand and products as the hero. Clean Navigation Intuitive navigation that doesn't dominate or hinder a clean viewing experience. Powerful Product Search Keyword product search results in an organized list, including product image, name, description and price, for an informed selection and navigation to the product detail. Product Detail Display Integrated product and image database allows any product to be clickable from anywhere within your catalog or lookbook for additional selling details. Thumbnail View View all page presentations for quick navigation. No Unsightly Product Tags Our click-area tool allows simple creation of invisible selections that link any page element to product data or external URL, without distracting from your design and photography. Simple Integration One line of automatically generated code creates an iframe for your site. Once placed, your publication is seamlessly integrated to provide your site with rich media content. Responsive Our embedded viewer is fully responsive and can be easily modified to work nicely with your site’s layout. Multiple Publication Navigation Using our embedded group viewer allows automated navigation for users to pick from a list of catalogs or lookbooks. Our content management system allows you to immediately select which publications are live on your site. Page Swapping Update any page in your catalog or lookbook by swapping in a new PDF of that page. All of your products and links will remain integrated into your publication. Add Pages One or more additional pages can be added to expand your publication. Pages can be moved into any position within the publication. Product Import & Editing Product information can be input or updated using a spreadsheet, or edited individually. Image Importing Up to ten images can be added for each product. Images can be imported using an image URL or by uploading multiple image files to a product record. They can also be batch processed using a .zip file. Publication Cloning Create a duplicate of any publication for versioning and / or updating. Once created, the publication can be updated with additional or swapped pages; product data and image imports; deletions, and additions. Import Product Data Import your product database using a product feed or spreadsheet. Each product can include up to ten images and can be assigned to any publication. 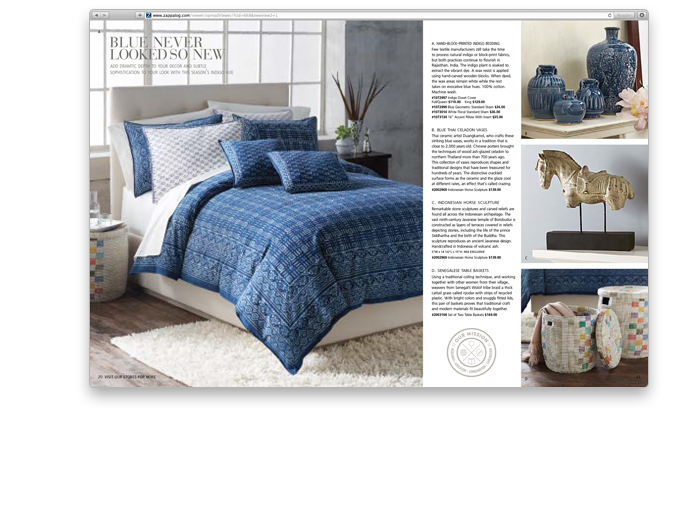 Assign Products to Publications It's a simple process to assign products to catalog and lookbook pages. Once assigned, creating click areas is as easy as drawing boxes around images and text. E-commerce Integration Once a click area is established, your publication automatically generates detailed product information upon click-through and creates a link to the product selling page on your site. Link Creation Create live URL links from any part of your catalog or lookbook to enhance your publication. Built-in Analytics View your custom dashboard for instant access to key analytics, including publication views, page views, product views and site click-through. Source Codes Easily add a source code to any or all of your publications to append all product URLs. 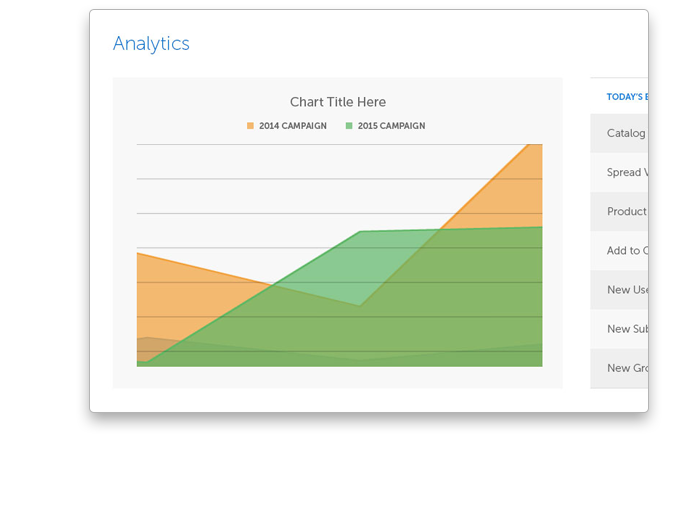 Square-inch Analysis To analyze your sales data in-depth, you can export an automatically-generated square-inch analysis spreadsheet. No Unsightly Product Tags Our click-area tool allows simple creation of invisible selections that link any page element to product data or external URLs, without distracting from your design and photography. Are you ready to Zappalog? Contact us today to learn more about our Portfolio and Retail packages*. Free 30 day trial. Cancel at any time. How do I upload my publication? Using our upload tool, choose a PDF file formatted as single consecutive pages (note that two consecutive pages will appear as one “spread”, or horizontal page, in the viewer display). The file should not include any crop marks, and all pages must be the same size. Once uploaded, Zappalog will automatically begin processing your publication. What’s the difference between a Catalog and Lookbook publication? 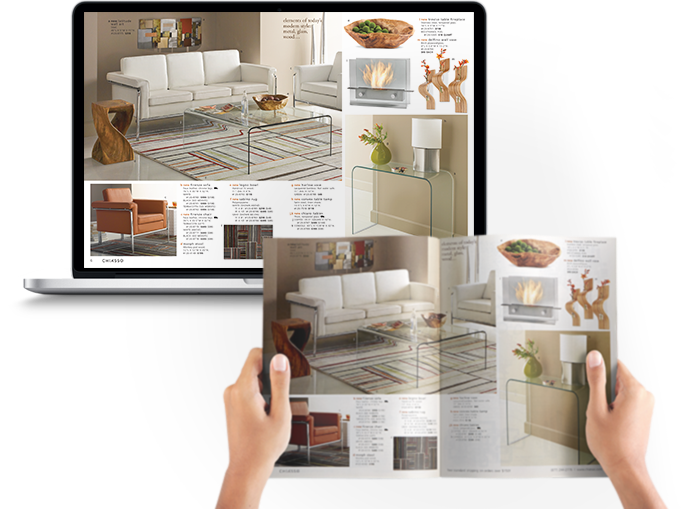 For Zappalog purposes, the only difference between a catalog and lookbook is that the lookbook has a two-page front and back cover to take advantage of the full horizontal space. My catalog has an insert with non-sequential page numbers. Can Zappalog accommodate this? Yes. Zappalog allows you to manually enter any text as your page numbers, so the navigation display matches your publication. Can I add links to my product selling pages? Yes. Using the built-in product database, you can upload all of your product data via spreadsheet or product feed. Once uploaded, you can assign the appropriate products to each page either manually or by importing a spreadsheet. Once the page assignments are entered, use our click creation tool to create invisible links to your product selling page from anywhere in the publication. Can a product be linked from more than one place on a page? Yes. A product link can have multiple click areas on a page, allowing you to link from any image or text. How do I embed my publication into my web site? Zappalog automatically generates an iframe code to be embedded in your site. There are numerous customization options to the appearance and operation of the viewer to enable seamless site integration. Can I edit a single page in my publication? Yes. You can update any page in your publications using our page swap tool. Is there a way to add video content to my publication? Yes. Using our link tool, you can display any external URL in either a separate window or lightbox. Simply enter the URL, choose a lightbox size and create a click area. Already have a Zappalog account? Login. Fill out the form below and an account manager will get back to you shortly. Please have an account manager contact me.